New snazzy bar in the Blackstone District. Late night Vegan eats till 2am! 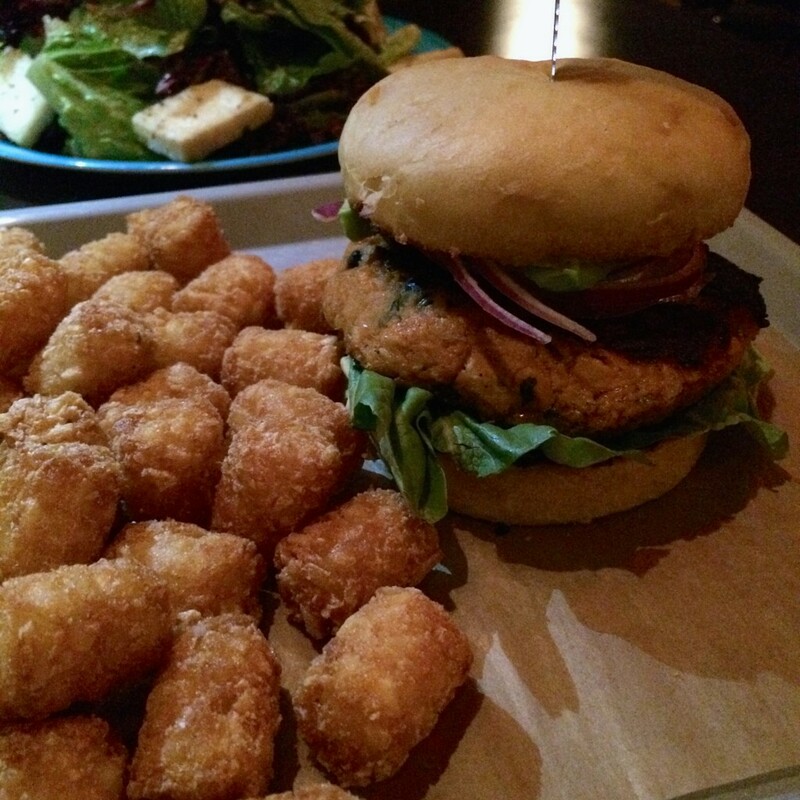 Choices between a Vegan Burger, Tater Tots, French Fries and Tofu Salads. My boyfriend and I had dinner there last night, I got the vegan burger and I loved it! Great portion size for the price (my boyfriend got the southwest chicken burger) and I had a beer,, he had pop. 2 meals and drinks for $24.00, service was quick as well. Very casual atmosphere. Downsides were the pop was generic (as said by the guy who took our order) the alcohol choices were limited and the cleanliness didn’t seem detailed (the paper menus had food spills on them, our booth had dust in the corners, nothing gross, but just something we noticed) however my vegan burger was awesome so I would definitely eat there again for a quick, inexpensive and delicious bite! The Night Garden salad is huge and satisfying but nothing particularly special. The Vegan Burger on the other hand, is the best vegan burger that I have ever had! There is sweet potato in the patty, making it delicious and a bit squishy, and all over delicious! Ask for extra vegan aioli on the side.